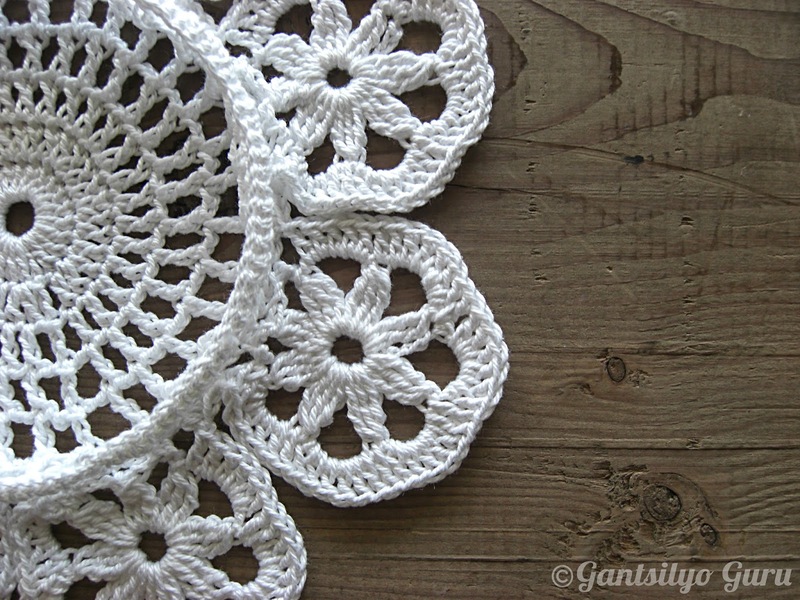 Don't you just love a classic white crocheted piece on top of a brown surface? 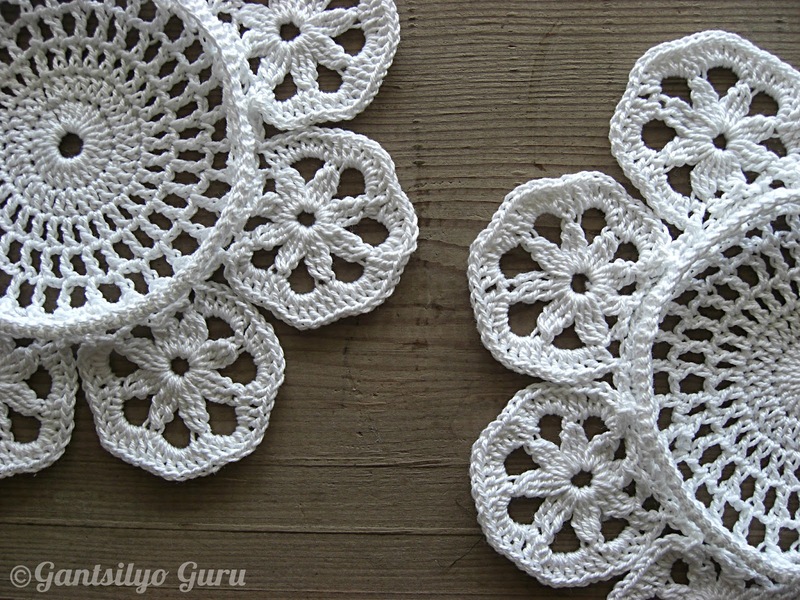 I saw a coaster pattern from the vintage pattern book, "Madonna Crochet," and had the urge to crochet it. 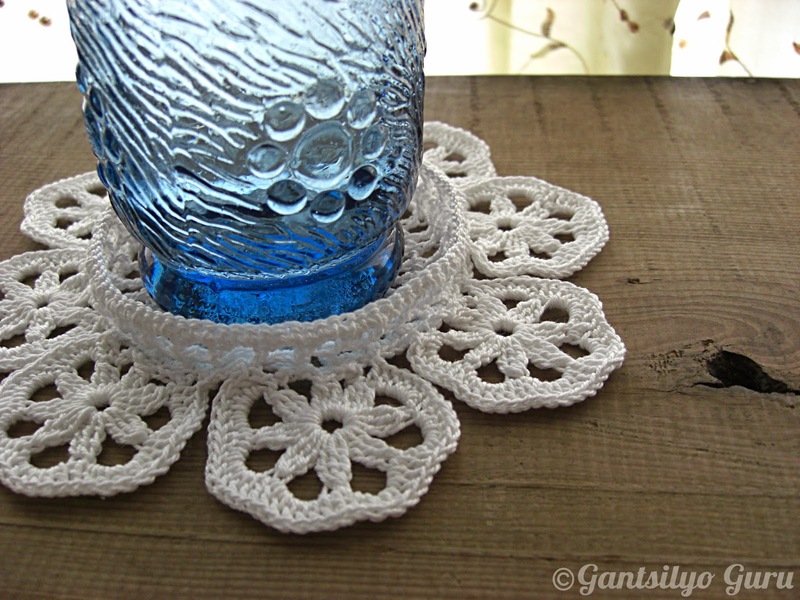 The pieces displayed in the book had some touches of color in them, especially on the petals circling the coaster. I opted to just make it all white. I think it's lovelier and "classier" that way. 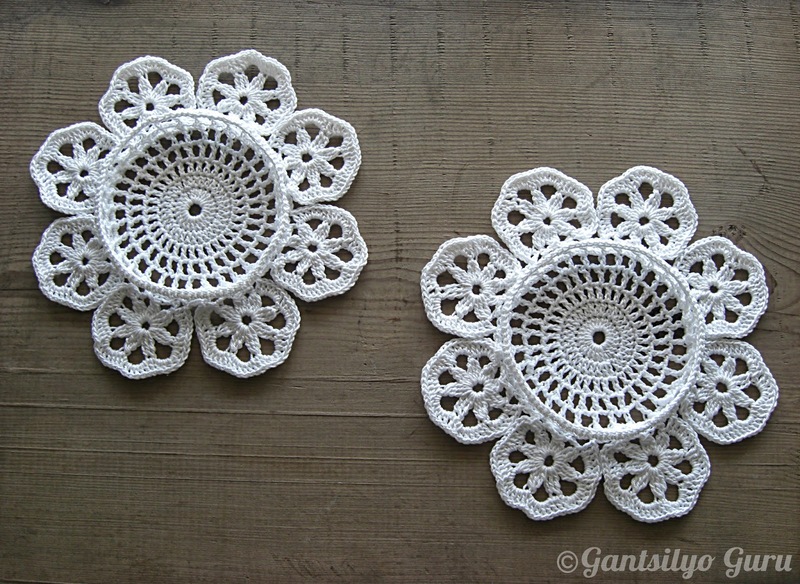 I had a ball of Cannon white mercerized cotton yarn lying around and managed to make two coasters out of the yarn left from the ball. I didn't block these anymore or starched them to make them stiffer (they'll get wet anyway). 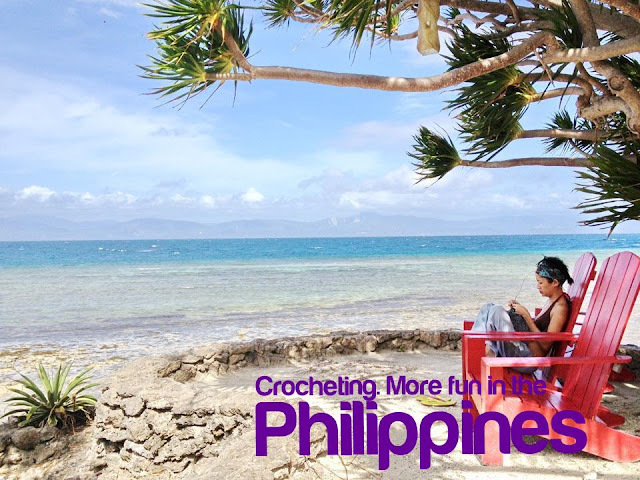 I used a size 3 IMIA steel crochet hook for this project. The coaster has an elevated edging encircling the base. 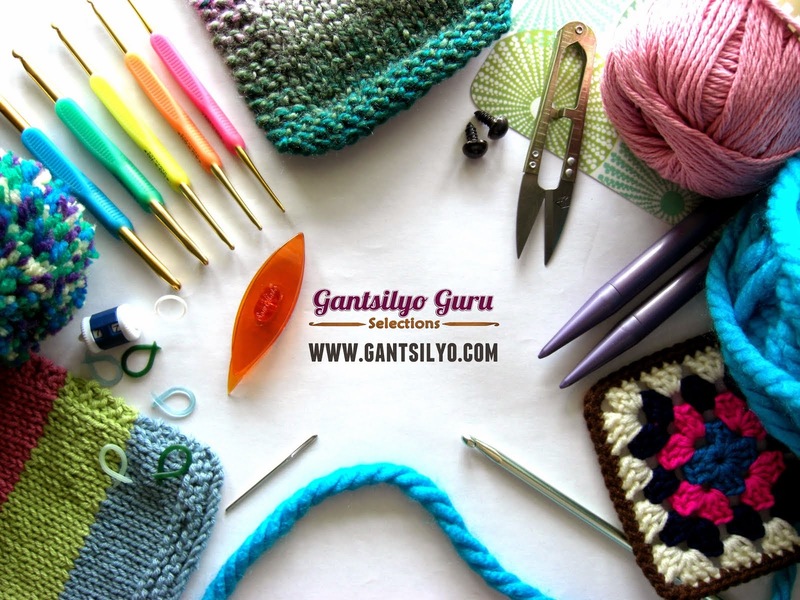 This is a time-consuming coaster to make! I think it took me around 1.5 to 2 hours to make just one. Honestly, you only need the base part to make this a functioning coaster, but of course, don't you think it's prettier with the petals? The hard work's worth it. 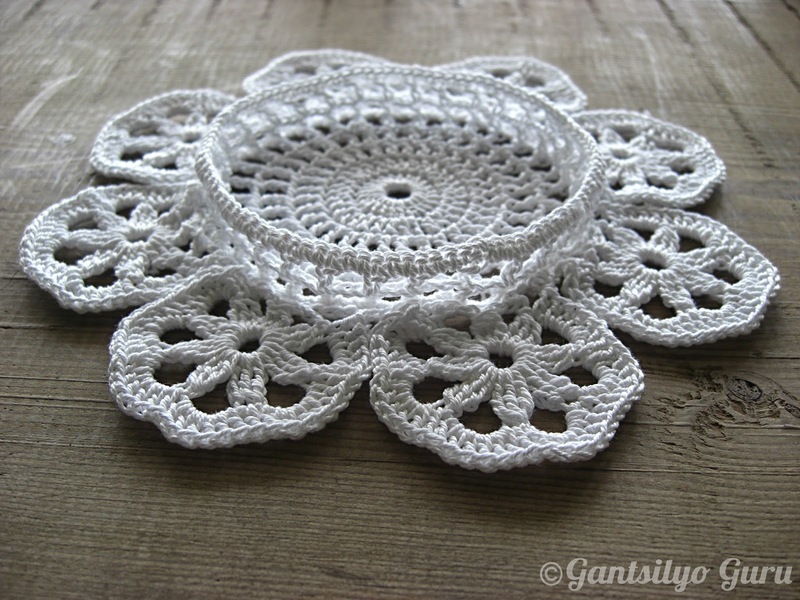 Check out another blog entry I made about another white piece HERE. These are gorgeous, I bet they'll also look good in different colors, but white just gives it an immaculate kind of feel to it. :) I have sweaty hands, so working with white is a bit tricky for me.